More than 1 million people suffer from burns every year and the American Burn Association reports that burns lead to more than 3,000 deaths and more than 450,000 hospitalizations every year. As the third leading cause of death in the home, burns are a serious injury. 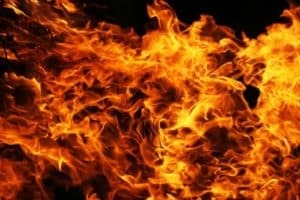 If you or a family member has suffered burns, you should contact Phoenix burn injury attorney Nathaniel B. Preston. With experience in representing burn injury victims, Nate knows just how to proceed with your claim to get you the most compensation possible. apply ice because it can lead to tissue damage, which you want to avoid. Take a clean, dry bandage and carefully place it over the burned area. Use extra care to not touch or break any blisters caused by the burns. Do not use any ointments, butter, or cream on the burns. Get medical care right away. Burn injuries are very serious and require intensive treatment. They are painful and can lead to mounting medical expenses for surgery, physical rehabilitation, and physical therapy. Burns cause physical pain, emotional suffering, permanent scarring and even disfigurement. Because the severity of burn injuries can vary, you could end up being hospitalized long-term – for even months – and suffer the loss of your job and your income. Attorney Nathaniel B. Preston “Nate” knows that you are undergoing pressures as well as physical and emotional pain because of the accident. Nate can help you get on track with your claim and help you make the right decisions. Experienced in representing Phoenix burn injury victims, Nate has the experience in providing legal advice and coming up with the appropriate strategy to help clients pursue compensation for pain and suffering. When pursuing a burn injury case, it might involve defective products, property owner liability, workers’ compensation law, negligence, or construction law. There are no caps or limits for damages that can be recovered in a burn case. Dedicated to helping clients like you get the compensation that is deserved for injuries, Nate will aggressively pursue your claim. Your initial consultation is completely free of charge, and Nate is not paid until he recovers a settlement for you first. If you or a loved one has been the victim of burn injuries in Phoenix, call Warnock MacKinlay Law at (602) 652-2009 to schedule your free case evaluation or complete the online contact form today.